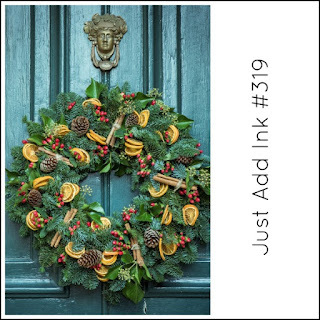 There's a fun inspiration photo challenge at Just Add Ink this week. 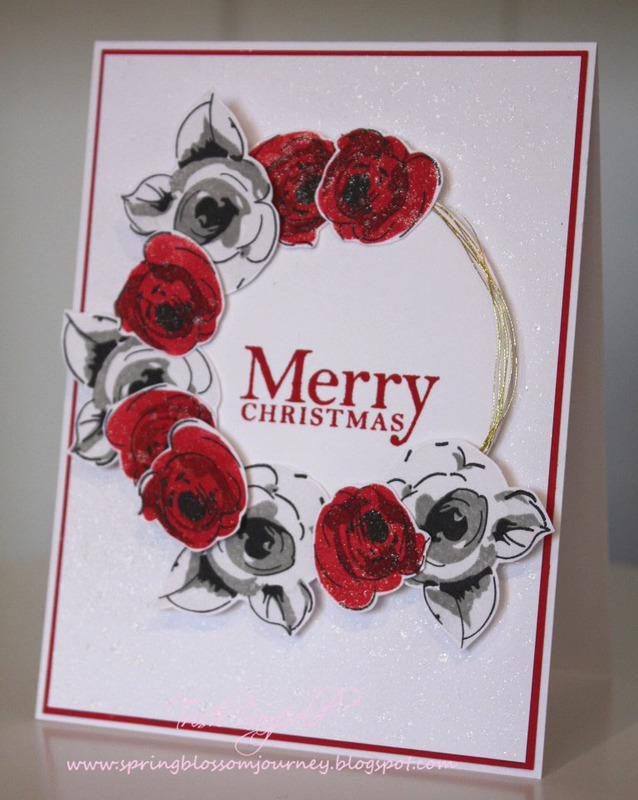 I found the image to be very Christmas looking given that wreaths are generally hung on doors at Christmas time! 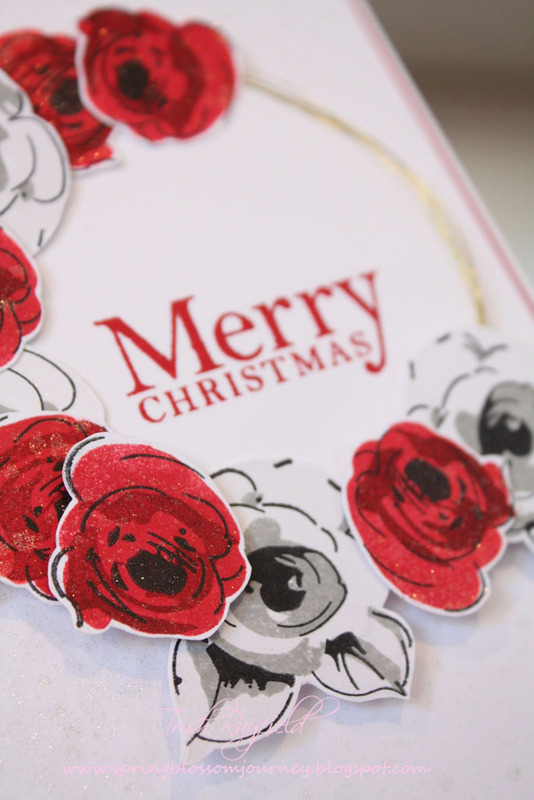 I was originally thinking that I wasn't going to create something with a Christmas theme but as it all came together I couldn't help but put a Christmas greeting on it. The colours are so versatile that I probably could have used several different types of sentiments! It's probably a little hard to tell from the photos but I've added some gold shimmer to the background and also to the red flowers. There are so many different cards that the Design Team have created this week so don't forget to head over to the blog and check them out. Can't wait to see how you interpret this image!!!! 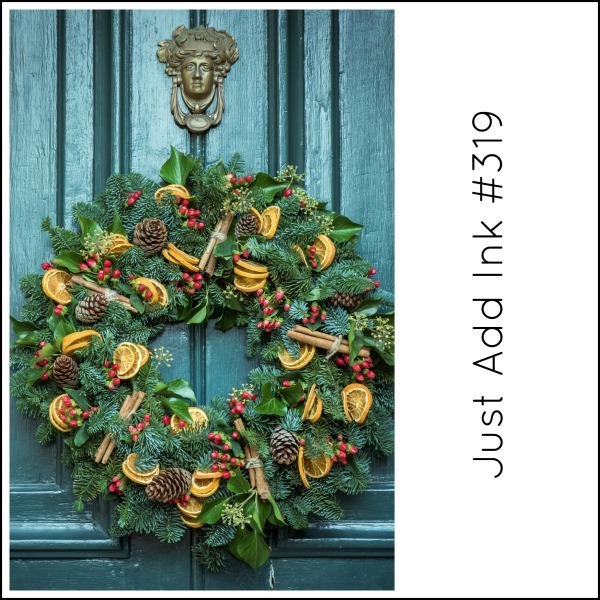 Just Add Ink #321 - Just Add Paper piecing!